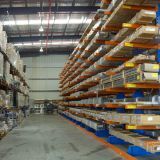 Guangzhou Dingli Storage Equipment Co., Ltd. 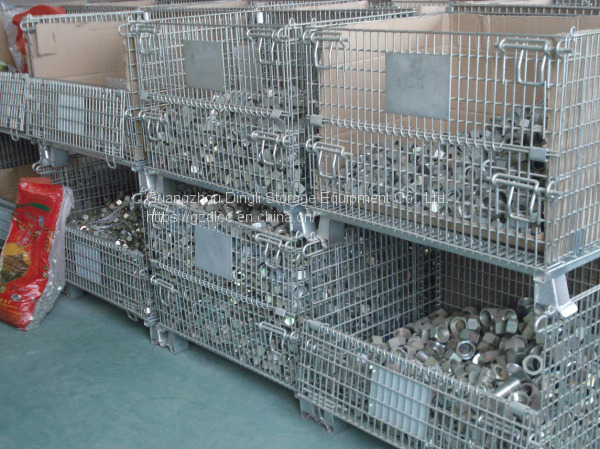 Storage cages are also called warehouse cages and butterfly cages. 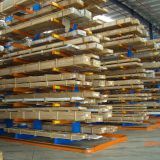 They are a kind of logistics container which is very important in storage and transportation. 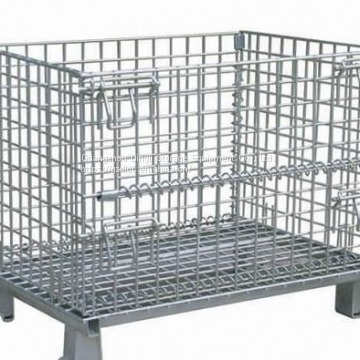 It has the advantages of fixed storage capacity, neat storage, convenient storage, easy inventory check, etc., and also improves the effective utilization of storage space. . 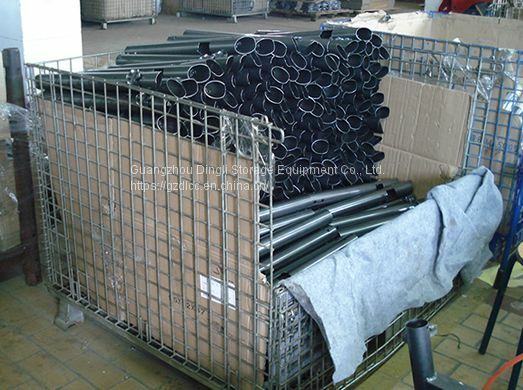 The storage cage can be folded freely and can be folded and stored when not in use, saving warehouse space. 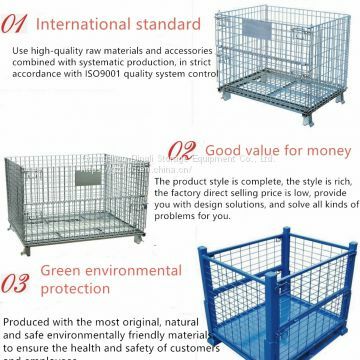 The storage cage has the advantages of fixed storage capacity, neat storage, convenient storage, easy inventory check, and the effective utilization of storage space. 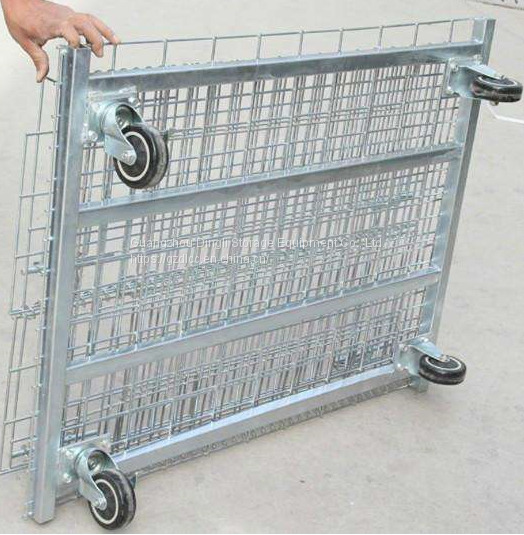 In addition, the product is rugged, easy to transport and reusable, which can effectively reduce the labor consumption and packaging costs of the storage company. 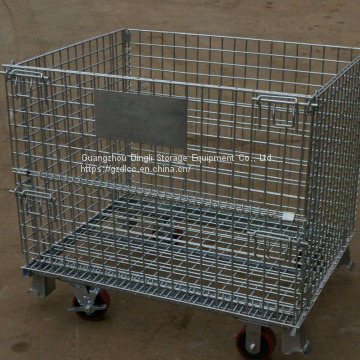 This product can be used not only in factory production workshops, but also in supermarkets for display promotion and storage, and can be used outdoors. 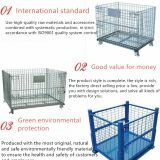 The improved storage cage can be placed on the shelf, the assembly line, or stacked: the storage cage with wheels can be easily and quickly turned around in the workshop, and the storage cage with PVC plate or iron plate can prevent small pieces from leaking. 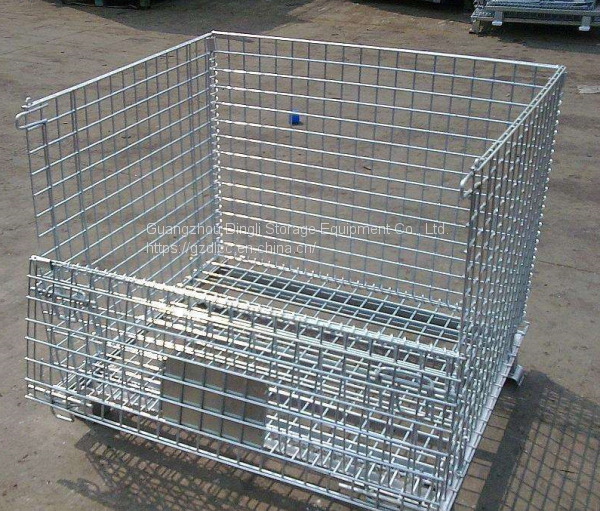 There are three types of storage cages commonly used: one is a wheeled storage cage for turnover, the other is a foot storage cage that can be piled up and can be put on the shelf, and the other is a storage cage with wheels and feet. 1. 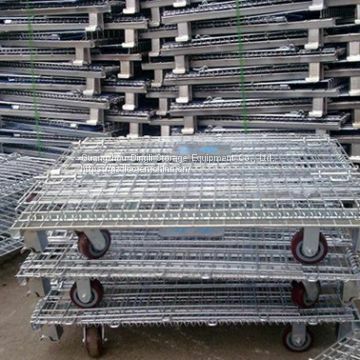 It is made of high-quality steel and cold-rolled and hardened, with high strength and large loading capacity. 2. 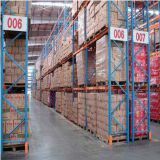 Uniform specifications, fixed capacity, storage of goods at a glance, easy to inventory inventory. 3. 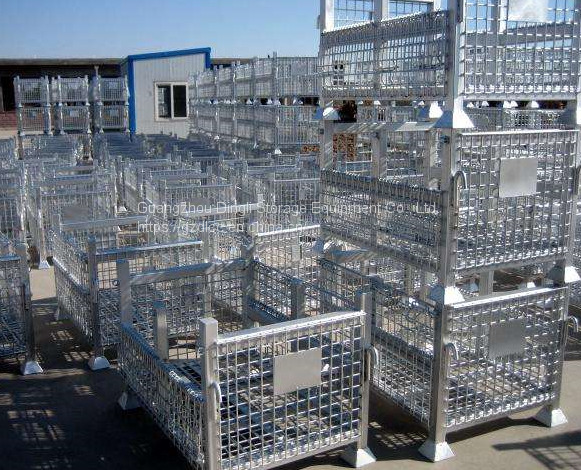 The surface is galvanized, beautiful and anti-oxidation, and has a long service life. 4. 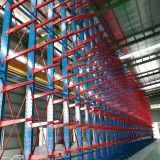 It adopts international standards and can be used with containers to effectively improve space utilization. 5. Can be stacked on top of each other to achieve three-dimensional storage. 6. Environmentally friendly treatment, health immunization, turnover, storage and recycling do not pollute the environment. 7. 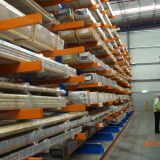 Efficient operation can be carried out with equipment such as forklifts, cattle, elevators and cranes. 8. The folding structure has low recycling cost and is an alternative to wooden crates. 9. Wheels can be mounted at the bottom, making it easy to turn around inside the factory. 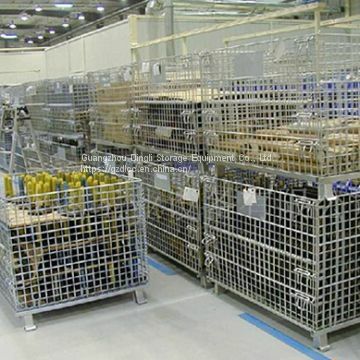 Storage cages can be widely used in various industries: die castings, forged parts, auto parts, motorcycle parts, metal stamping parts, engineering machinery parts, metal products, pipe fittings, gears, building sanitary parts, lighting, furniture, toys, postal logistics , pharmaceutical logistics, business super, catering, food, agricultural and sideline products. 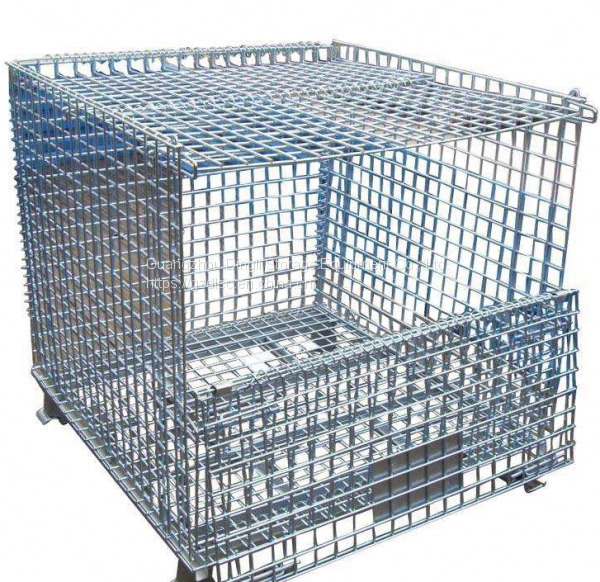 To Guangzhou Dingli Storage Equipment Co., Ltd.
INQUIRY ABOUT wire mesh containers,Foldable storage cageGuangzhou Dingli Storage Equipment Co., Ltd.